The Lamborghini Huracan Evo that uses the same naturally aspirated 5.2-litre V10 motor but is now tuned to produce 631 bhp and a peak torque of 600 Nm. That’s 28 bhp more than the predecessor. All of that power helps propel the Huracan from 0-100 kmph in mere 2.9 seconds, 0.3 seconds faster than the older model. The top speed remains unchanged at 323.5 kmph. 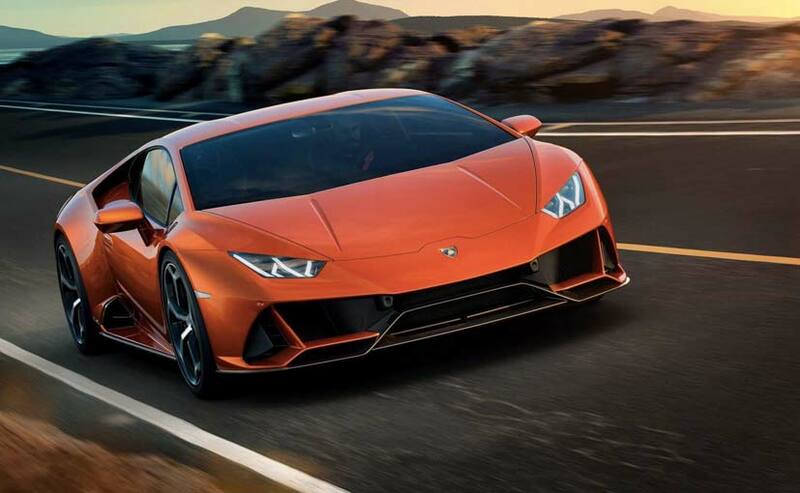 Tech upgrades on the Lamborghini Huracan Evo include the new Lamborghini Dinamica Veicolo Integrata (LDVI) chassis control system, which will control every aspect of the car’s dynamics while there’s a new generation of magnetorheological damping. The All-Wheel Drive system gets enhanced torque vectoring and Feb dynamic steering system has been upgraded as well for more response around the corners. Catch all the Live Updates from the Lamborghini Huracan Evo launch here:Feb 7, 201912:34 PMThe Lamborghini Huracan Evo has officially arrived in the country and you can read all about it in our launch report HERE. Feb 7, 201912:28 PMLamborghini Huracan Evo LaunchThe Lamborghini Huracan Evo gets a new ducktail spoiler to balance downforce and drag on the two-door, while the underbody has been revised to make it more slippery and aerodynamic friendly. Feb 7, 201912:25 PMLamborghini Huracan Evo LaunchThe Huracan Evo gets a new front and rear bumper, new diffuser and twin exhaust pipes that are now place higher than the ones on the current model. The razor sharp styling that we love on the Huracan has been retained and the coupe looks distinctive and fresh from all angles.